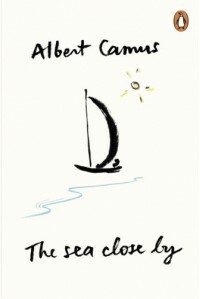 More a booklet than a book, THE SEA CLOSE BY contains two of Albert Camus's essays. On the surface there isn't much to these stories other than the stunningly beautiful prose. But, dig deeper - read the words again and again, and these two essay become allegories: the sea (in THE SEA CLOSE BY) for life itself and Algiers (in SUMMER IN ALGIERS) for adulthood. The joys and challenges of the sea journey so vividly described ["we bend beneath savage winds blowing endlessly ... Each cry we utter is lost, flies off into limitless space ..."] correlate with the ups and downs of our small, ordinary lives, tossed in the vastness of an unknowable universe in the same way the boat is driven by "the imperious wind." The primordial "antique sea", in endless motion, is both the bringer of life and the taker of life; like life itself, the source of both humanity's "unbearable anxiety" and "irresistible charm." Although ending on a glimmer of hope, the adult human doesn't fare so well in "Summer in Algiers." Camus observes the harshness of the summer's heat on mankind and how young virile men, lose their beauty and their hope in remorseless heat of the land. ["they wagered on the flesh, knowing they would lose"] We, as humans, live knowing we will die and as the young men in Algiers "haste to live that borders on waste", we squander our youth and burn our passion out too soon. This illusion of living, of indulging in experiences, Camus says leads to an old age without much love or hope for a man (or woman, one assumes! ); only a waiting, a merciless "end between his wife and his children." Despite his melancholic condemnation of "hope" as the most awful of the ills released on humanity by the opening of Pandora's box, Camus ends his description of Algiers with the first autumn rainfall. 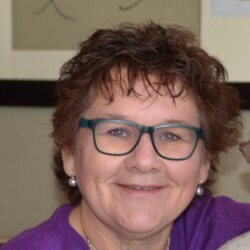 As we enter the last phase of physical existence after the "bitter lesson" of summer, we are liberated by our tears from the "violence and hardening" of a youth spent too fast. As he ages, and exchanges hope for an acceptance of life's harsh realities, Camus implies, man can, at last, awaken to the "only really virile love in this world," the fleeting union of two states of being - life and death. Highly recommended for the sheer joy of reading such lyrical, profound prose.